Before Senator Al Franken became a politician, his exploits on TV and in movies drew a fanbase and a chuckle. (He was good enough, smart enough, and gosh darn it, people liked him.) But when he buckled down and become a public servant, he stopped joking and got dead serious about matters of policy, particularly when it comes to technology. Indeed, Sen. Franken, the chairman of the Senate subcommittee on Privacy, Technology, and the Law, considers privacy to be no laughing matter. He has gone on the record to state that he believes such practices enable things like stalking and domestic violence, and often puts tech companies in the hot seat about products that collect or track user data. And now his latest campaign just scored a win this past week when the Senate Judiciary Committee voted in favor his Location Privacy Protection Act. The basis of the bill is to mandate that companies inform and obtain consent from users prior to collecting or sharing their location data. Plenty of mobile apps have now adopted this approach on their own, but if this bill becomes law, it could force everyone to comply with this practice, which means users would know exactly what data is being pulled and which apps want it. Apps that don't comply by, say, covertly monitoring or tracking locations, would be outlawed. The bill still has further to go, and could still be shot down when it hits Congress, which is more galvanized around addressing the "fiscal cliff" that looms large on American economic landscape. But that wouldn't put a nail in the coffin for the Location Privacy Protection Act. 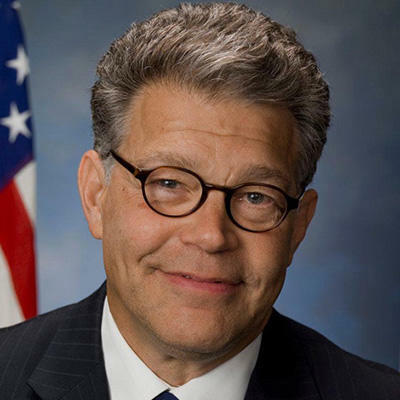 Sen. Franken is expected to take up arms once again, during the next session of Congress. What's your take on the location privacy issue? Should app developers and device makers be required to disclose when they're tracking users and get permission? Or are privacy advocates making too much of this, when tracking is merely an innocuous facet of modern tech life? Let us know your thoughts in the comments.